Immortalized by artists, prized by young and old, Marina Del Rey real estate truly has it all. Along the south end of Santa Monica bay, you'll find the coastal wonderland of Marina Del Rey, nestled between Venice on the north and Playa Del Rey on the south. This enclave of a boaters marina paradise is one of the most beautiful and inspiring beach and Marina Living area's in Los Angeles County, offering both wonderful beachside, Marina and landside living. Drive along the Marina Strand, and you will see the gorgeous homes, and Condominiums, gourmet restaurants, and boutiques that dot the landscape and draw you in to Marina Del Rey. Once here, you will be impressed by how much Marina Del Rey offers the feel of a small community. With an ever growing population, Marina Del Rey is a self-contained community with valuable amenities like shops, movie theaters, parks, and of course, the marina and the beach. The residents of Marina Del Rey real estate take pride in the quality of life, which is both unique and welcoming, the beauty of the area and exclusive lifestyle has been a draw for many years. Marina Del Rey offers a wide range of real estate, from modest, homes to lavish beachfront and luxury condominiums. Property values are basically distinguished by location on the beachside or the landside. Beachside Condominiums and home values vary widely depending on the lot width and depth and in terms of, width, exposure, and convenience. Landside condominiums and homes are found mostly surrounding the channels and the exterior surrounding area of Marina Del Rey. Marina Del Rey is divided by its geography into very distinct neighborhoods and has many exclusive, gated home and condominium enclaves that offer added privacy and security. These area's are, where many entertainment celebrities find both the seclusion and luxury they need in a condominium or home. 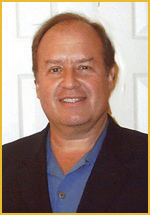 Richard Chernock is a realtor and specialist of Marina Del Rey real estate. His experience and expertise will guarantee a smooth journey to buying your new condominium or home in Marina Del Rey. Contact Richard today to get the kind of dedication and personal attention you deserve in order to make a sound decision on buying your next home or condominium..